It's Pat! 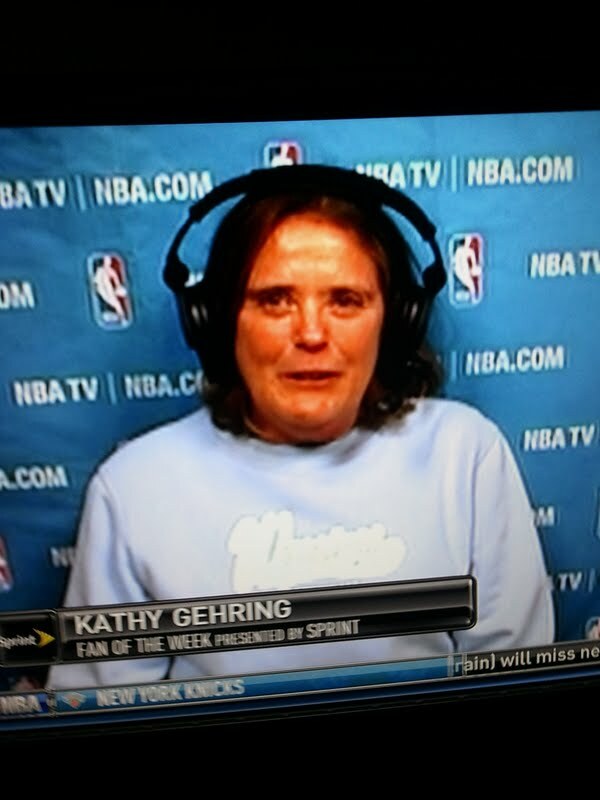 Imagine my surprise when the NBA analyst B-team of C-Webb, Matt Winer, and Greg Anthony brought the lovely Kathy Gehring on to talk shop about the Warriors. Chick was talking about assist:turnover ratio, PER, and points per minute statistics like a bawse. Too bad that this woman is the epitome of a cat lady. Fur, feline feast, and Monta Ellis jerseys everywhere. Is it bad that every time I see this picture I think: "What's a goon to a goblin?"